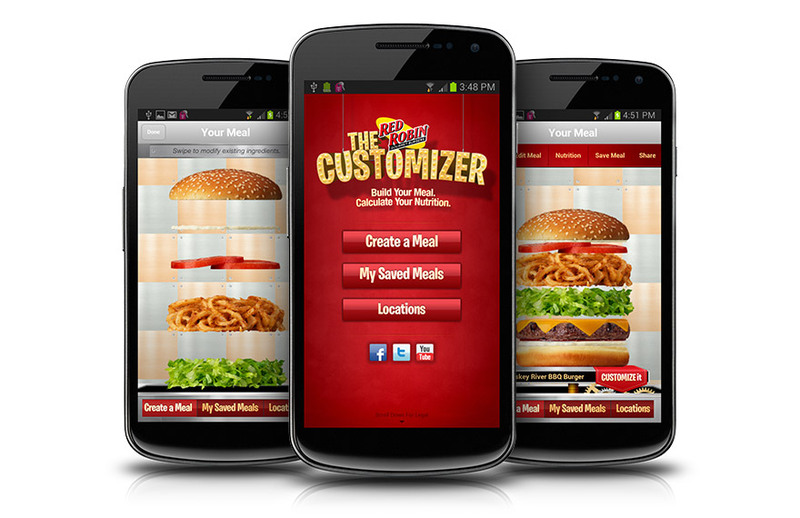 Your favorite burger or taco joint no doubt has an app. But will it save you time or money? We investigate. When it comes to satisfying a fast-food craving, you have two thoughts: What do I want? And, where can I get it? Only you can answer the first question, and the map on your phone can answer the second. Yet fast-food chains have apps with features designed to help potential customers track rewards, save orders, tweet, and more, all of which has little to do with figuring out what to eat and how to find it. 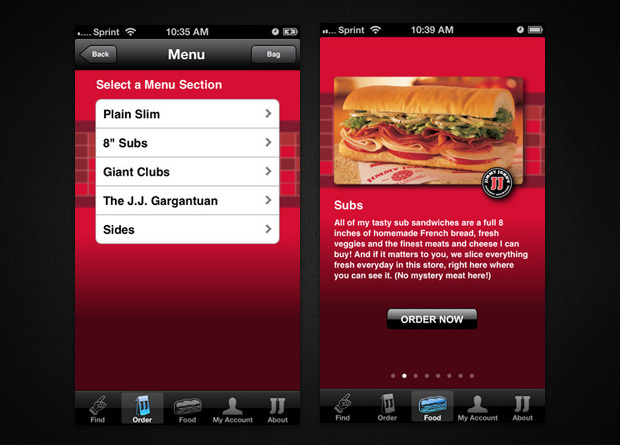 Some fast-food apps still manage to be useful. Others, well, just redirect to Google Maps. To help make sense of all the options — and to avoid downloading something you won't ever use — we've tested apps from many of America's most popular chains. I'm not lovin' this app, the "features" of which include a restaurant locator and buttons that link to McDonald's careers, nutrition, and contact pages. It's not that these pages don't contain useful information, but users must leave the app to see a menu and peruse calorie counts. Is It Useful? 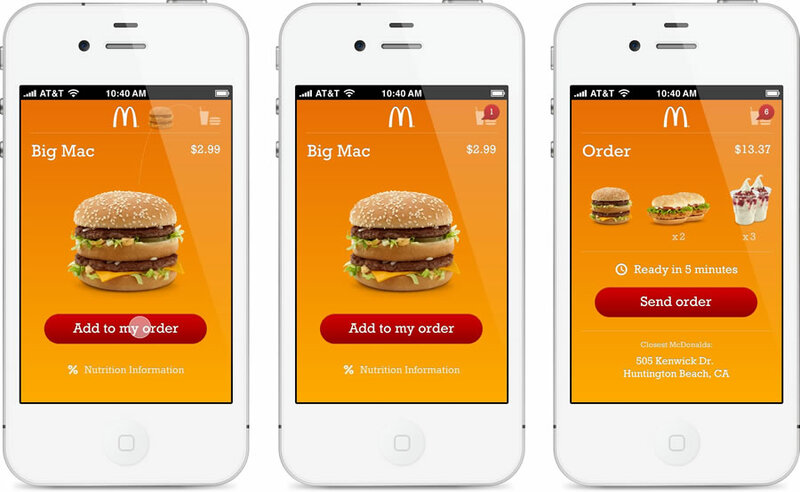 : The only McDonald's app worth the download is McPlay (iOS and Android). The games are fun and even when you earn no points, Happy Ghost Surfer will say you did a great job. It's probably my fault for thinking Jimmy John's might have translated its irreverent style and dedication to customer service to its app. It didn't. Cons: This app is little more than a portal to its website. Is It Useful? : No more so than a browser. The app starts off on the right foot by welcoming new users with a long list of coupons for meals and buy-one-get-one special. The app also lists nutrition information and allergens immediately under descriptions of all of its featured menu items. 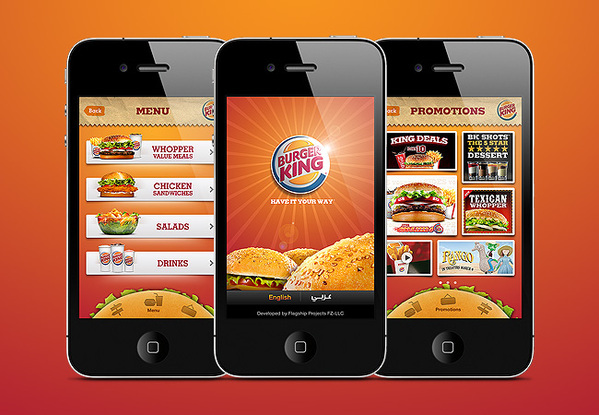 Plus, users can set up mobile payments and manage their BK Crown Card or PayPal accounts within the app. Cons: Access to the app requires registration. Is It Useful? : The coupons and convenient payment options more than made up for giving Burger King my phone number. Steak 'n Shake must know that when someone wants a steak(burger) and shake, they want it right away. This app doesn't require users to register or link it to a social media platform. Its Facebook and Twitter feeds are available through the app, and users can easily share status updates, but those come second to the all-important menu and location features. After the meal, users can add locations and menu items to their lists of favorites. Cons: It's kind of ugly, and the interface is a bit clunky. Is It Useful? : Yes. Although online ordering is not an option with this app, I wouldn't want the Oreo milkshake I learned about in the "What's New" section melting on a counter while I drove to pick it up, anyway. 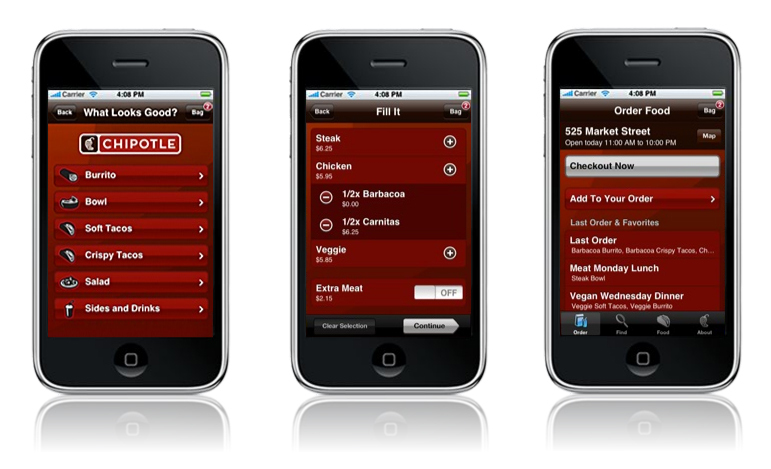 Red Robin's app keeps it simple, but shows off where it counts. Users can connect via social media, find nearby locations, access the chain's allergen menu, and save meals. And they're going to want to save some of their delicious experiments from the app's "Create a Meal" function, in which they can customize a gourmet burger — or most any menu item. Swipe left and right on deconstructed burgers, swapping the sesame seed bun for Texas toast and replacing sliced tomatoes with onion rings because it's still healthy if there's a vegetable in there somewhere. Cons: "Create a Meal" is available on the website, too. Is It Useful? : Yes. Even after removing ingredients and adding on a few more to almost any menu item, the app provides complete nutrition information. Although you can do this on the restaurant's website too, swiping somehow makes building your own meal more fun. 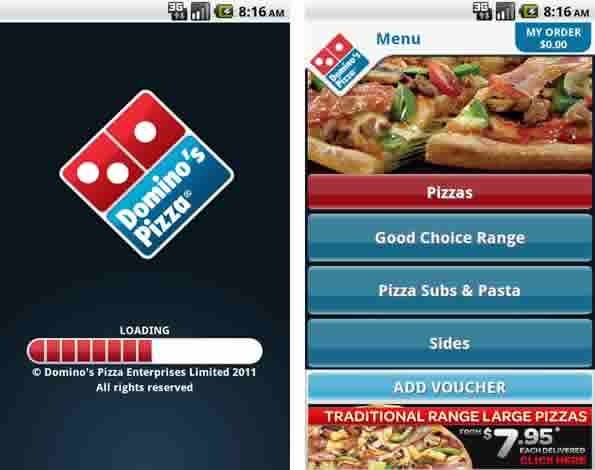 The app also allows you to track your pizza. Besides that, this app features the standard fare of location lists and maps, user profiles, and nutrition information. Is It Useful? : The pizza tracker alone makes this worth the download. Although also available through the website, this feature is enhanced in the app. Not only can you stay on the couch to order, you can mentally prepare for the exact moment — and not a moment before — that you will have to get up to answer the door. At least this app looks cool. 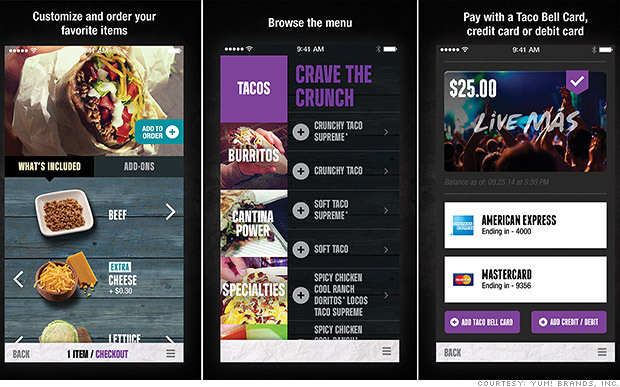 There's not much to it, but it feels like Taco Bell knows apps as well as those who eat Taco Bell. Not only does the app feature the standard menu and locator, users can order online for pickup at participating locations. Repeat customers earn rewards, and the app learns most-ordered items to turn that 2 a.m. craving into a cheesy gordita crunch as quickly as possible. Cons: The app itself is not a cheesy gordita crunch. Is It Useful? : Yes. It had me wanting to "live mas" far more often. 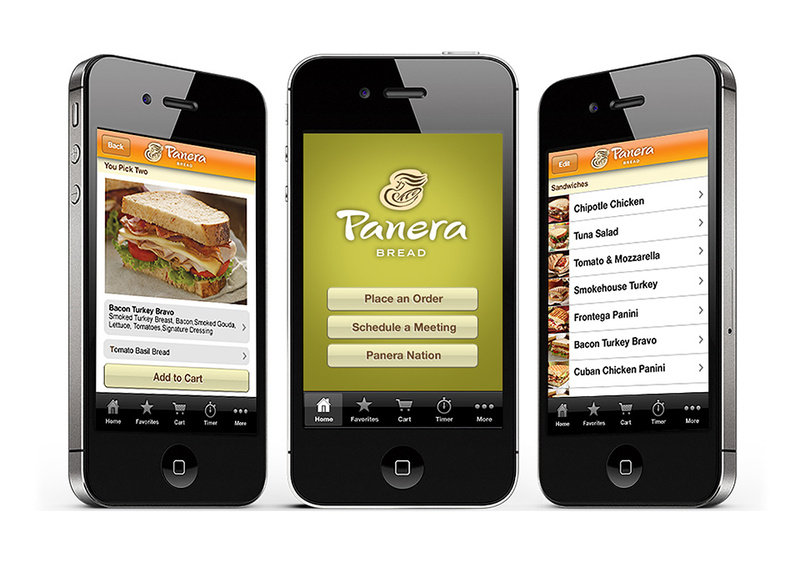 Orders made through Panera's app are available for pickup at any of its locations, with users able to get their food in as little as ten minutes after check out. 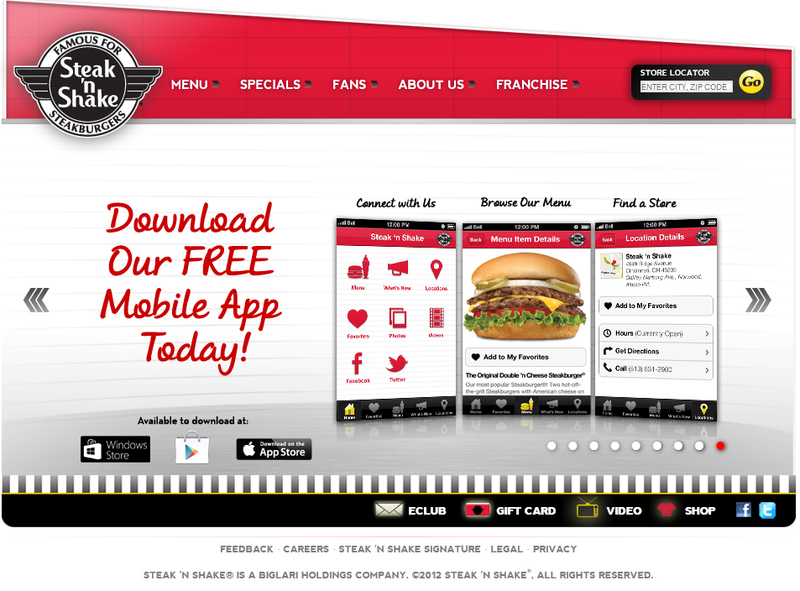 Like the Steak 'n Shake app, users can keep track of their favorites. And like the Taco Bell app, it tracks users' past orders. More than that, users can create profiles and link the app to their MyPanera account to track their rewards and, among other things, receive pastries for their birthdays. Cons: It's not for anyone who only "likes" Panera. But, then again, what kind of monster only "likes" Panera?! Is It Useful? : Yes, especially if you never can remember if you usually get the tomato bisque or vegetarian black bean soup with the Tuna Salad on Honey Wheat. Another app that allows users to eliminate all human contact from mealtimes, I actually appreciate how prominently Chipotle displays the option to order online and pick it up. Especially if the line is out the door, place an order and come back in 15 minutes to get it. Otherwise, this app provides nutrition and allergen information. Is It Useful? : I find it incredibly stressful shouting my order over the sizzle of the grill and deciding on the spot if I want white rice or brown rice. With this app, you can give decisions that could make or break a proper burrito consideration, rather than panicking and always — ALWAYS — going with the carnitas. With all of these apps, while there are some useful features, few are for any but fans, who might check their points or read about a new menu item in line before ordering what they always do. Readers, do you use any of these fast food apps? What do you think? Share your thoughts in the comments below. 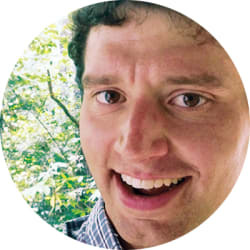 Joshua Nichol-Caddy has written for DealNews since 2011, applying his interest in and knowledge of bargain hunting to pen an assortment of weekly roundups, including the Best Travel Deals of the Week. Subway app works pretty good for ordering ahead. Thanks for the round-up there were a couple here I hadn't tried. No in App ordering and it's no use IMO. I especially like the Panerra app I can get my "Classic Salad -Onions w/Apple" walk in the door pick my bag up off the shelf. No human contact no lines bliss!